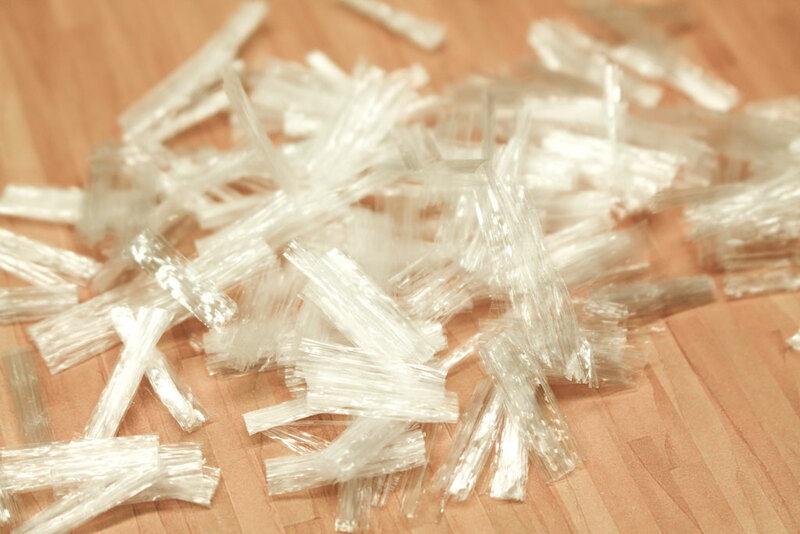 FORTA ECONO-NET® is an easy to finish, fully oriented, 100% virgin homopolymer polypropylene fibrous reinforcement in a collated fibrillated (network) form. FORTA ECONO-NET is used to reduce plastic and hardened concrete shrinkage, improve impact strength, increase fatigue resistance and concrete toughness. This medium-duty fiber offers good-bonding power, long-term durability, and true secondary/temperature control by incorporating a fibrillated pattern and long length option. Non-corrosive, non-magnetic, chemically inert, and 100% Alkali Proof! FORTA ECONO-NET is mainly used in concrete applications such as slab-on-grade, overlays/toppings, curbs, slope paving, driveways, sidewalks, basement floors, garage floors, architectural/colored concrete, precast, mortar, grout, water tanks, and sewage treatment facilities – anywhere that superior fiber performance is desired and where the objective is to control temperature/shrinkage cracking while improving basic durability properties. Recommended dosage rate of FORTA ECONO-NET is 1.5 lbs. per cubic yard (0.9 kg. per cubic meter) of concrete added directly to the concrete mixing system during, or after, the batching of the other ingredients, and mixed at the time and speed recommended by the mixer manufacturer (usually four to five minutes). What makes FORTA ECONO-NET® special? FORTA ECONO-NET is a fibrillated (net-shaped) fiber that mixes well in the concrete and acts as an economical alternative to conventional non-structural steel reinforcement. FORTA ECONO-NET is a fibrillated (net-shaped) fiber that mixes well in the concrete and serves as a viable alternative to conventional non-structural temperature steel reinforcement.